For other uses, see Rosetta (disambiguation). Rosetta (/roʊˈzɛtə/; Arabic: رشيد‎ Rašīd IPA: [ɾɑˈʃiːd]; French: Rosette [ʁo.zɛt]; Coptic: ⲣⲁϣⲓⲧ Rashit) is a port city of the Nile Delta, located 65 km (40 mi) east of Alexandria, in Egypt's Beheira governorate. Founded around in the 9th century, Rosetta boomed with the decline of Alexandria following the Ottoman conquest of Egypt in 1517, only to wane in importance after Alexandria's revival. During the 19th century, it was a popular British tourist destination, known for its charming Ottoman mansions, citrus groves and comparative cleanliness. Both the Arabic name Rašīd (meaning "guide") and the western name Rosetta or Rosette ("little rose" in Italian and French respectively) are corruptions (or folk etymologies) of a Coptic toponym, Trashit. Rosetta or Rosette was the name used by the French at the time of Napoleon Bonaparte's campaign in Egypt and thus became eponymous of the Rosetta Stone (French: Pierre de Rosette), which was found by French soldiers at the nearby Fort Julien in 1799. The site of Rosetta was inhabited throughout the history of Ancient Egypt, then known as Khito, a hieratic word meaning "the populace", under Menes reign. In the Ptolemaic era, the town was renamed to Bolbitine (Bolbitinum, Bolbitinon, the name of one of the seven mouths of the Nile in Herodotus). 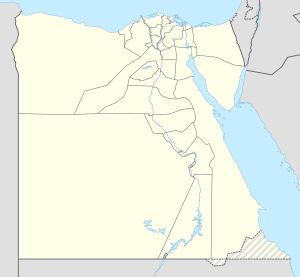 In Christian Egypt, the town was again known by the vernacular (Coptic) name, now in the form (t-)Rashit/Rakhit/Rexi[clarification needed] In the 850s, the Abbassid caliph ordered a fort to be built on the site of the Ptolemaic city, and the medieval city grew around this fort. During the Seventh Crusade, Louis IX of France briefly occupied the town in 1249. Under the Mamelukes, the city became an important commercial center, and remained so throughout Ottoman rule, until the eventual resurgence of the importance of Alexandria following the construction of the Mahmoudiyah canal in 1820. Rosetta witnessed the defeat of the British Fraser campaign, on 19 September 1807. Köppen-Geiger climate classification system classifies its climate as hot desert (BWh), but blowing winds from the Mediterranean Sea greatly moderate the temperatures, typical to the Egypt's north coast, making its summers moderately hot and humid while its winters mild and moderately wet when sleet and hail are also common. Rafah, Alexandria, Abu Qir, Rosetta, Baltim, Kafr el-Dawwar and Mersa Matruh are the wettest places in Egypt. "Rosetta," Encyclopaedia Britannica, Chicago, 1983. ^ "Climate: Rosetta - Climate graph, Temperature graph, Climate table". climate-data.org. Retrieved 13 August 2013. Wikimedia Commons has media related to Rosetta (city). Wikisource has the text of the 1911 Encyclopædia Britannica article Rosetta. Detailed map of Egypt (with many ancient temples): UniMaps-Egypt.